This POLAROID 660 SE camera is in great working condition and in good cosmetic condition with a few scuffs and scratches on the plastic body. The output unit runs well, the pressure rollers spin freely, and the flash works. The original neck strap is well attached, and everything opens and closes easily. The red flash indicator light is in the viewfinder and to charge the flash you press the shutter button halfway until the red light goes out. 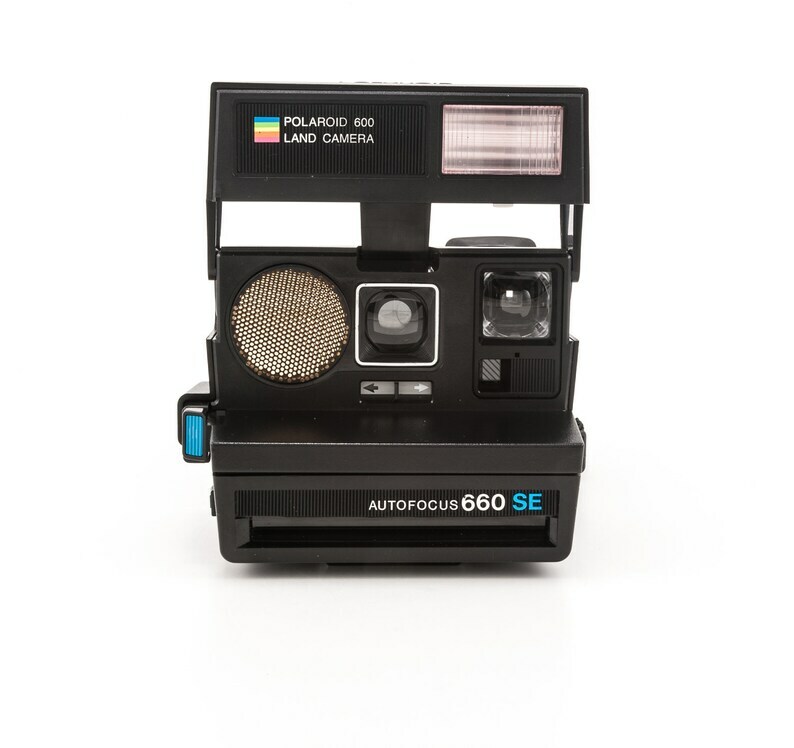 The Polaroid Autofocus 660 was a square-bodied instant camera in Polaroid's 600-series. It was a rebranded version of the Polaroid Autofocus 660. It was also available in a SE special edition to celebrate Polaroid's 50th anniversary. The Sun 660 features a single-element 116mm, f/11 plastic lens, electronic shutter, built-in flash, and Polaroid’s Light Management System, allowing the user to make exposure adjustments via a lighten/darken switch under the lens.